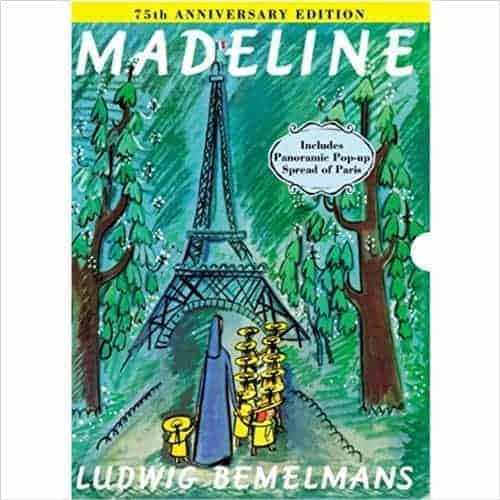 To commemorate the 75th anniversary of Madeline, this lavish slip-cased edition of the original book includes a full-color panoramic pop up spread of Paris, with all the famous landmarks, including Madeline’s house. This keepsake edition makes a wonderful gift for fans of Madeline. See a simpler paperback version in the Book Finder.